Sounds like a good wine. So I went online, found that my local store in Guelph had 60 bottles. I went there to purchase some only to find out that ALL 60 BOTTLES WERE ON HOLD! “SERIOUSLY?”, I said in capital letters to the sales clerk. Then I walked away muttering something like “Gord’s a jerk”. So when Gord recommends a wine it’s gone off the shelves within 24 hours. You probably think that I’m envious of Gord’s power – and you’re right. 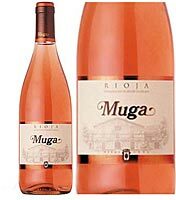 I’m already planning to recommend a wine that I know isn’t in stock anywhere so that even 1 person might think that it’s all gone because Travis recommended it. I hope they call me a jerk. For now, I have the local wine store on speed dial. The moment they get some of that Australian gold in I’m putting it on hold. Keep up the good work Gord. I have been doing some blog analysis recently and I found that often people get to my blog by Google searching the words “Einstein” and “Gooseberry”. Interesting that people ever search for the word gooseberry. That I can’t explain. Maybe I should start using those words more in casual blogversation. My other observation concerns fashion blogs – read mostly by women. “J.Crew” is a highly searched word. Probably thanks to America’s obsession with what Michelle Obama wears (I’m getting a WWMOW bracelet for my wife). What is really interesting about fashion blogs is that readers comment on the blogs all the time. My friend blogs about fashion and her “blog” turns into a virtual internet chat room (I guess they’re all virtual) with all the comments that follow a post. I’m lucky if I get my two closest relatives and that linktrap.com guy to share anything witty on my blog. 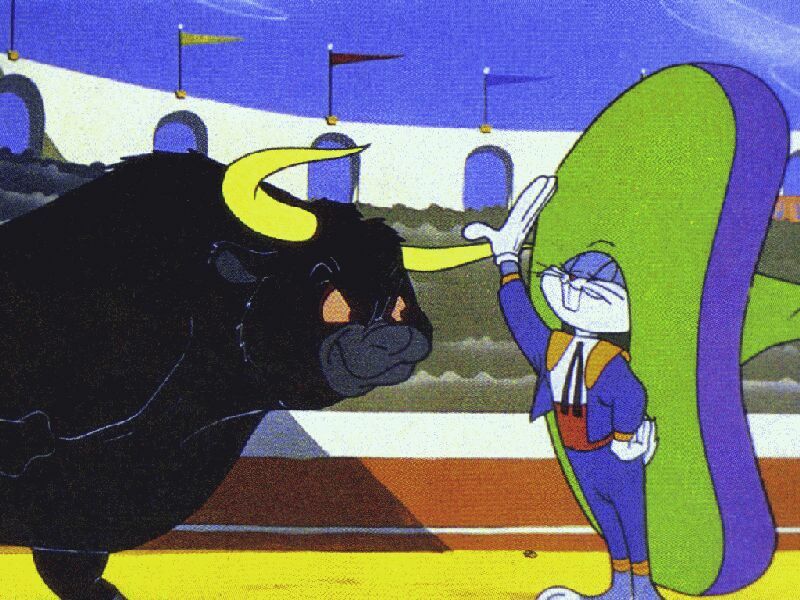 Understand that I’m not pleading with people to comment on my blog. I don’t really have time for that. 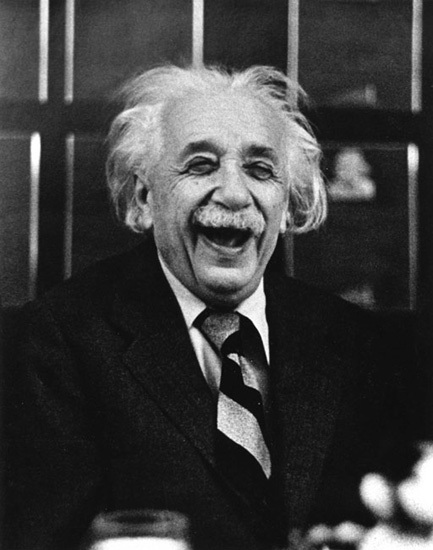 I guess all I want to say is – Thanks Uncle Albert Gooseberry Einstein. You look great in your J. Crew sweater. I just got this email from my friend Roger who wrote me from Toronto Island. Just came to the beach to get the last bit of sun on my last night on the island. Check out what was beside my bench. Pretty high-end beach bums over here. That is high class indeed – a bottle of Veuve Clicquot goes for $65 if it’s a NV (non-vintage) and upwards of $200 if it’s a vintage Champagne. 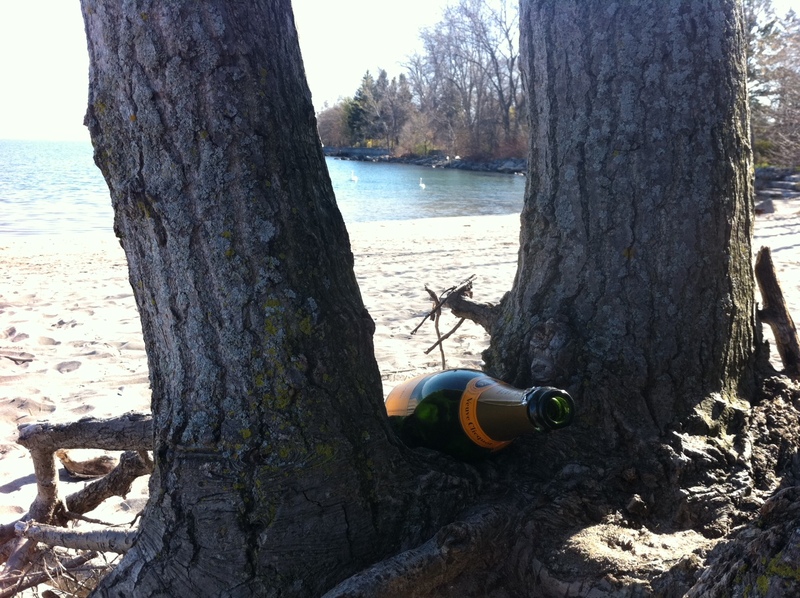 Those Toronto Island beach bums really know how to live. By the way, no indication from Roger whether or not he was in fact the beach bum with the Veuve. 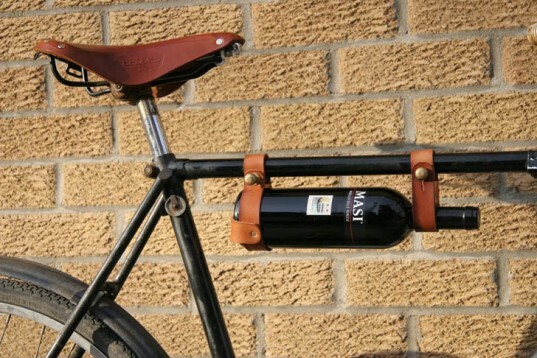 In the words of Freddie Mercury – “I want to ride my bicycle, I want to ride it where I like” and with a bottle of wine to go. This is a real product – leather and brass. Fantastic. Purchase it here at Etsy.